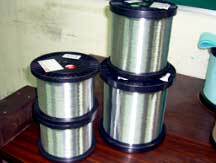 We offer EDM wire which is of unmatched quality. 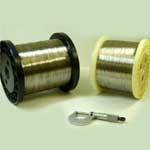 Our electric discharge machining wire is remarkable for its conductivity and is widely used in electrical and electronics industries. 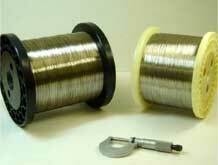 Our EMD wire is recognized under the brand name of â��UNICUTâ��. 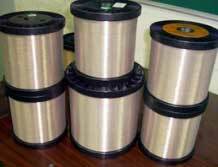 It is suitable for all type of National and International CNC wire cut machines. The â��UNICUT â�� wire scores high on quality, faster cutting speed, high cutting accuracy and precision meeting in the challenges of increasingly sophisticated EDM requirements. 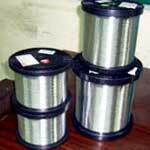 We are also one of the most trustworthy EMD wire suppliers of India. Unicut Brow & D/F, Z 0.100mm UBH10 900-1000 Hard K-125/K-100 04 14 Kg. / 07Kg. 0.150mm UBH15 900-1000 Hard K-125/K-100 04 14 Kg. / 07Kg. 0.200mm UBH20 900-950 Hard K-125/K-100 04 14 Kg. / 07Kg. 0.200mm UBH20 900-950 Hard Japex 12 16.800 Kg. 0.250mm UBH25 900-1000 Hard Japex 12 16.800 Kg. 0.250mm UBH25 900-1000 Hard P-5 Hard 04 22 Kg. 0.300mm UBH30 900-1000 Hard K-125 04 14 Kg. 0.350mm UBH30 900-1000 Hard P-5 04 22 Kg. 0.350mm UBH35 900-1000 Hard P-5/K-125 04 22 Kg./14Kg. 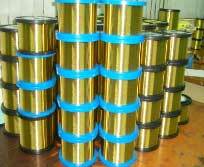 0.200mm UBSH20 600-700 Semi Hard K-125/K-100 04 14 Kg. / 07Kg. 0.200mm UBSH20 600-700 Semi Hard Japex 12 16.800Kg. 0.250mm UBSH25 650-750 Semi Hard Japex 12 16.800Kg. 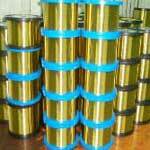 0.250mm UBSH25 650-750 Semi Hard K-125/K-100 04 14 Kg. / 07Kg. 0.250mm UBSH25 650-750 Semi Hard P-5 04 22 Kg. 0.300mm UBSH30 650-750 Semi Hard K-125 04 14 Kg. 0.300mm UBSH30 650-750 Semi Hard P-5 04 22 Kg. 0.350mm UBSH3 650-75 Semi Hard P-5/K-125 04 22Kg./14Kg. 0.200mm UBS20 450-550 Soft K-125/K-100 04 14 Kg. / 07Kg. 0.200mm UBS20 450-550 Soft Japex 12 16.800 Kg. 0.250mm UBS25 480-550 Soft Japex 12 16.800 Kg. 0.250mm UBS25 480-550 Soft P-5 04 22 Kg. 0.300mm UBS30 480-550 Soft K-125 04 14 Kg. 0.300mm UBS30 480-550 Soft P-5 04 22 Kg. 0.350mm UBS35 480-600 Soft P-5/K-125 04 22 Kg./14Kg. 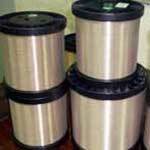 Material Composition Cupper/Zinc & alloys. Japex 130mm 60mm 36mm 28mm 12mm 1.4 Kg. K-100 100mm 63mm 100mm 80mm 16mm 1.75 Kg. K-125 125mm 80mm 125mm 100mm 16mm 3.5 Kg. P-5 160mm 90mm 114mm 90mm 20mm 5.5 Kg.